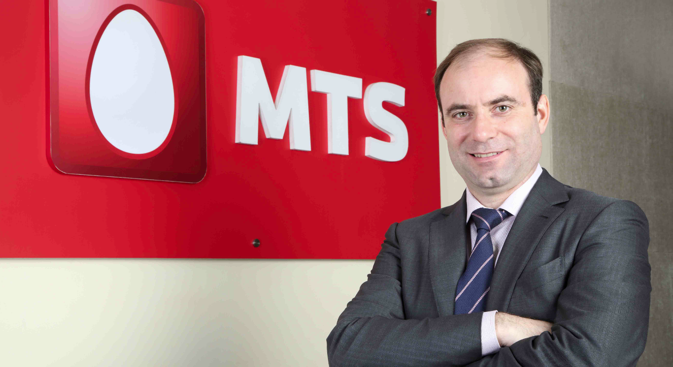 Dmitry Shukov, President and CEO of MTS India talks about the company’s plans, the prospects for development of the telecommunications business and what he enjoys the most about India. Some analysts believe that India can expect consolidation in the mobile operators market in the near future. What are your thoughts on this? I completely agree with this thinking. It is not right that there are between 10 and 13 operators in one licence region. The frequency resource is limited. In truth, in accordance with global practice there should be no more than five operators in a single licence region. In this way the frequency resource can be distributed sensibly. Apart from that, it is unreasonable for 13 companies to spend so much money maintaining their own headquarters. This requires huge spending on personnel and on base stations. In the end everyone loses out in a price war. A consolidation process is unavoidable. Can you say whether the conflict over the withdrawal of SSTL’s licence is over? Yes, the conflict over the withdrawal of SSTL’s licence is over. We took a deliberate decision and we are staying in the Indian market. How much has SSTL invested in the Indian economy? The total investment is USD $3.6 billion. We think that this level of investment is worthy of respect. We really want to work in the Indian market, but at the same time we want to do so in response to deferential relations. This includes receiving frequencies in good time. SSTL’s has increased its revenue by 2.4 percent in nine operational circles when compared to the first quarter of 2013. Has the period of time it takes for the company to reach break-even point changed? That period of uncertainty, when our licence was revoked, which lasted for more than a year, was bound to affect our plans and our financial indexation. In accordance with our strategy we shifted this timescale and we are planning to reach the break-even point by the end of next year. We stayed with nine circles, reviewed the expenditure and revenue sides of the budget and we decided on this timescale. In fact the company has come through this year and is on course to reach operational breakeven by Q4 2014. Now that we have a licences again, so have decided to reinstate the status quo by actively investing in attracting users in particular. Are you happy with the current rate of increase in users? No, I am not happy. Therefore we will be working sufficiently aggressively in this direction, but only as far as attracting users to our data transfer services is concerned. We have decided that our company will expand chiefly in providing data transfer services. Can you tell us a little more about that? What is SSTL’s new strategy to develop predominantly data transfer services? The CDMA standard is not the dominant one in India. In this case, the majority of mobile business is in providing voice services. However, if the advantages of the CDMA standard are compared from the point of view of introducing the EV-DO Rev Phase II new generation technology platform, that is to say the new data transfer technology, this makes it highly competitive. In this sense we know better than the market. This represents high-speed, and stability, a big breakthrough and there will be no connectivity issues. In this range the cover is better and the costs are lower. When we receive the third carrier frequency, which we acquired at an auction in March 2013 and which we have been waiting six months for, we will be launching the network in a new configuration. This will be the most competitive proposal on the Indian market in terms of speed, stability and price. What is the new EV-DO Rev. B technology? EV-DO Rev. B is a modernisation of our CDMA standard. It relates to second -generation mobile technology, such as GSM, which is familiar to everyone. The next level is a modernisation of the existing standard, essentially 3G after GSM. As a result the data transfer speed increases considerably. Previously the Government of India allowed overseas companies to own a 100 percent stake in telecommunication enterprises operating within the republic. Do you support this decision? We received the government’s decision positively. Direct finance from a parent company becomes possible In the case of a 100 percent stake. However, aside from this step there is much to do to attract investors, chiefly in regulating the mergers and acquisitions (M&A) process. For example, if one company wants to acquire another, then first and foremost that company is interested in another’s frequency resource. If you acquire a company in India with a frequency resource the telecommunications industry regulator forces you to purchase frequencies separately. That is to say the balance needs to be paid between the auction and market price of frequencies, for this reason the deal does not make any sense. The issue of spectrum sharing, in which you can share some of your resource with another operator in order to use it more sensibly, is not regulated. Companies have an abundance of frequencies, and in India using these on the basis of an agreement with another company is forbidden. Companies often therefore have a surplus of frequencies. These issues need to be regulated here and implemented in accordance with best practice around the world. Where does SSTL come at present in the list of providers and is there a possibility of becoming the market leader? We are entering the top three, and becoming a data transfer services market leader is by no means ruled out. This though depends on the state of the Indian market. At the moment nobody is making any predictions or planning ahead. A difficult situation has arisen today concerning the low exchange rate for the Indian rupee. This is having a negative effect on the telecommunications business as a whole. Firstly the basic equipment of the majority of companies is purchased on credit from overseas manufacturers and this needs to be paid off in hard currency. Secondly the ‘innards’ of a mobile phone are mainly imported. Even those companies producing gadgets here are producing them principally from imported components. A drop in the exchange rate therefore reduces purchasing power and contributes to a rise in the price of mobile technology, reducing purchasing power among the population. At the moment everything is moving forward on the basis of old stock. This is especially bad in the run up to the festival of Diwali when people usually give each other gifts and gadgets are very popular. Now that you have mentioned Diwali, this I suppose a time to prepare for the launch of new mobile phones? Yes. The most popular mobiles here are the cheapest. The principal growth rate for users is among young people - the average age among new users coming on stream is 25. These are the world’s youngest users. By way of a comparison the youngest users in China are 34. As a rule they are people who are on low wages. Therefore we focus on producing low cost devices. Nevertheless, we cannot forget those users on high incomes. In the near future a whole range of completely new phones will be launched. All the necessary agreements have been made and purchase contracts already drawn up. Deliveries will begin in the near future. How many new phones will there be? There will be five or six models from different manufacturers and across the price range. These will be the most popular examples from the consumer’s point of view. For example, mobiles with a 5.5-inch screen are very popular at present. They will be the same type of phone but with affordable tariffs, particularly in relation to data transfer. Our users frequently complained that they did not get enough options. We have solved this problem and a whole new tariff range will be launched accordingly. Another operator has already launched 4G services in Calcutta and Delhi, does SSTL have similar plans? I am very cautious about this story. Any market has to mature ahead of its corresponding networks. In India, only 13 percent of the population use the Internet, and only 1 percent use broadband. What does this prove? A 4G network differs from previous technologies only in terms of faster data speeds. This is reliant on an area with high Internet usage. There is no sense in building a huge road for just one car. This is a waste of money - an investment that can never pay for itself. For example the ARPU (average revenue per user) is very low in this segment - from $1.5 - 2.00 per month in comparison with $40.00 in Europe. It is a nice story concerning 4G but it is an image game. The distributors are under no illusions about this. Apart from that such speeds are not even required for watching video clips on You Tube, not to mention using social networking sites. SSTL is paying a paying a good deal of attention to social projects. How is the work progressing in this direction? The work is moving forward. We recently loaded two large trucks with clothes amongst other things for those suffering as a result of the floods in the state of Uttarakhand. We collected everything in our offices on a voluntary basis. Remarkably all our staff responded to this, they brought in blankets, medicines, food, and clothing - all the essentials for those people. It was with the greatest pleasure that we sent this aid to those who were suffering. We are a very socially orientated company and we run a lot of these projects. What is it you enjoy most of all about India and what do you dislike the most? Most of all in India I like the Indian people themselves. They are a very open, emotional, good-natured people. The people here have made the brightest impression on me. I do not however enjoy the traffic jams on the roads. I live in Gurgaon, and I often have to travel around the city. This takes a great deal of time. Every place I come across in India, and I travel a lot, is unique in its own way. Delhi is the capital - energetic. Kerala and Tamil Nadu have some kind of special colour about them. Gujarat is the industrial centre with its automobile manufacturing plants. The history is what hits you in Rajasthan and its capital Jaipur with its fortresses and temples. For anyone interested in history, travelling there would be a real stroke of luck. Bangalore is a global centre for IT. The city is a torrent of people on their bicycles with their glasses and briefcases heading to work in the morning like ants. You can imagine the intellectual power hidden away in those offices.